The summer heat has finally arrived in full force, and while half of the country is melting in the sun, you should be making sure your wardrobe is in survival mode. And because here at Complex we aren&apos;t afraid to be servicey, (see our tips for the proper way to wear a tank) here&apos;s an essential summer style guide. Jorts (jeans + shorts) are not only a hilarious word mash-up, they&apos;re essential for summer. The best part is that you can make them yourself, and any idiot can do it. 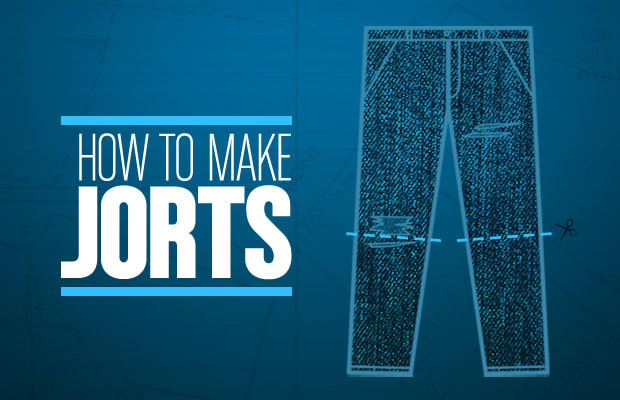 But just so you don&apos;t blow it, we&apos;ve broken the simple steps of Jorts making into three parts: The Tools, The Process, and The Fit. So, sacrifice your pant legs to the Sun Gods and start snipping. It&apos;s time to make Jorts!